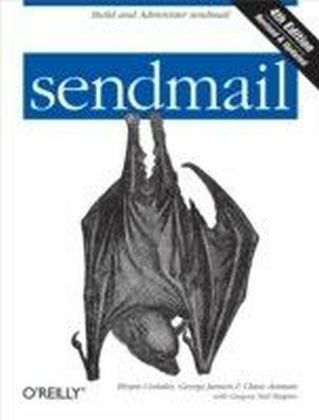 A classic O'Reilly title since 1993, sendmail now covers Versions 8.10 through 8.14 of this email routing program, including dozens of new features, options, and macros. This edition also takes a more nuts-and-bolts approach than its predecessors. It includes both an administration handbook and a reference guide that provide you with clear options for installing, configuring and managing sendmail's latest versions and companion programs.The sendmail program has withstood the test of time because of its ability to solve the mail-routing needs of all sites large or small, complex or simple. But it's also difficult to configure and even more difficult to understand. That's why this book has proven valuable since the dawn of email. With it, you will be able to configure the program to meet any need, so that you never again have to call in a sendmail guru to bail you out.sendmail includes the following sections:Some Basics is especially useful for people new to the program. It covers the basic concepts underlying mail delivery and the roles sendmail plays in that deliveryAdministration covers all aspects of handling sendmail, from downloading and installing new releases to managing mailing lists and aliasesConfiguration Reference contains a heavily cross-referenced guide for configuring and tuning sendmail. Every arcane detail of sendmail is listed alphabeticallyAppendices contain more detail about sendmail than you may ever needThis edition also includes new material on SSL and AUTH and a new chapter on Mitlers. If you're interested in what has changed since the last edition, one appendix categorizes the many improvements of sendmail's intervening versions by chapter, complete with references to the appropriate sections and page numbers in the book.With sendmail, system administrators, programmers, network engineers, and even inexperienced users will be able to match this challenging but necessary utility to the needs of their network.